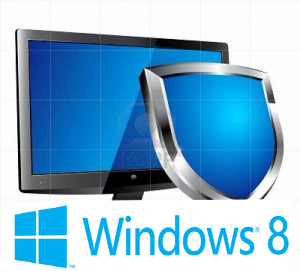 Microsoft™s security researcher believe that upcoming operating system, Windows 8 is a step forward in security and Windows 8 will be far better at protecting against malware than it’s predecessors. Chris Valasek, a senior security research scientist at development testing firm Coverity, began examining the security features of Windows 8 last autumn, before the consumer previews of the upcoming revamp of the new Microsoft OS came out. "There are always going to be vulnerabilities but you can make it difficult to leverage vulnerabilities to write exploits." One major change between Windows 7 and 8 is the addition of more exploit-mitigation technologies, however. Windows Memory Managers (specifically the Windows Heap Manager and Windows Kernel Pool Allocator) are designed to make it far harder for attackers to exploit buffer-overflow vulnerabilities and the like to push malware onto vulnerable systems. The "security sandbox" for applications for Windows 8 will also be a great step forward. "These new Windows 8 Apps will be contained by a much more restrictive security sandbox, which is a mechanism to prevent programs from performing certain actions," Valasek explains. "This new App Container provides the operating system with a way to make more fine-grained decisions on what actions certain applications can perform, instead of relying on the more broad ‘Integrity Levels’ that debuted in Windows Vista/7. Windows 8 also comes with a new version of Internet Explorer, Microsoft's browser software. Internet Explorer 10 will come with a mode that disables support for third-party plug-ins such as Flash and Java.